Venda ( /ˈvɛndə/ ) was a Bantustan in northern South Africa, which is fairly close to the South African border with Zimbabwe to the north, while to the south and east, it shared a long border with another black homeland, Gazankulu. It is now part of the Limpopo province. Venda was founded as a homeland by the South African government for the Venda people, speakers of the Venda language. The United Nations and international community refused to recognise Venda (or any other Bantustan) as an independent state. Venda was declared self-governing on 1 February 1973,  with elections held later in the year. Further elections were held in July 1978. The territory was declared independent by the South African government on 13 September 1979 and its residents lost their South African citizenship. 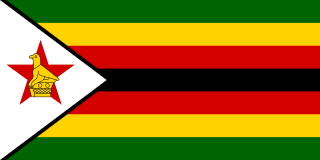 In common with other Bantustans, its independence was not recognised by the international community. Sibasa is a town in Limpopo Province, South Africa and the former capital city of the Venda bantustan. When Venda was declared independent in 1979, the capital was moved to Thohoyandou. Thohoyandou is a town/City in the Limpopo Province of South Africa. It is the administrative centre of Vhembe District Municipality and Thulamela Local Municipality. It is also known for being the former capital of the bantustan of Venda. Thohoyandou was built at Tshiluvhi which was under Khosi vho Netshiluvhi. Construction started in 1977 with P East and P West residential area/location as R293 town, a shopping centre and Venda Government buildings. The Netshiluvhis were the first occupants of the area as far back as 1400 AD, i.e. after the collapse of Mapungubwe Kingdom. They were forcefully removed from this area between 1960 and 1970 by the apartheid government of the Venda Bantustan under khosi vho Mphephu Ramabulana. The name Tshiluvhi comes from the Venda word "luvha" which means to pay homages or respect. The former Venda president built his palace and his ministerial resident at Tshiluvhis chiefs kraal as they were already moved by the apartheid government. The following leaders and their subject under Netshiluvhi were forcefully removed from their areas. Some of the Netshiluvhi are known by different names: Malima, Khorommbi, Mathomu, Magidi, and Mudau. The name Tshiluvhi was totally stricken out and replaced by Thohoyandou as per the then government, and was left as a name of a primary school. Chief Patrick Ramaano Mphephu was the first president of the bantustan of Venda, which was granted nominal independence from South Africa on 13 September 1979. The Venda Defence Force (VDF) was established in September 1982 from the 112 Battalion of the South African Defence Force and the military branch of the Venda National Force which itself had been formed when the Venda homeland became independent from South Africa in September 1979. Bophuthatswana, officially the Republic of Bophuthatswana, was a Bantustan which was declared nominally independent by the apartheid regime of South Africa in 1977. However, its independence, like the other Bantustans was not recognized by any country other than South Africa. Transkei, officially the Republic of Transkei, was an unrecognised state in the southeastern region of South Africa from 1976 to 1994. It was a Bantustan—an area set aside for members of a specific ethnicity—and operated as a nominally independent parliamentary democracy. Its capital was Umtata. Ciskei was a nominally independent state – a Bantustan – in the south east of South Africa. It covered an area of 7,700 square kilometres (3,000 sq mi), almost entirely surrounded by what was then the Cape Province, and possessed a small coastline along the shore of the Indian Ocean. KwaZulu was a semi-independent bantustan in South Africa, intended by the apartheid government as a homeland for the Zulu people. The capital was moved from Nongoma to Ulundi in 1980. KwaNdebele was a bantustan in South Africa, intended by the apartheid government as a semi-independent homeland for the Ndebele people. The homeland was created when the South African government purchased nineteen white-owned farms and installed a government. The Venda are a Southern African people living mostly near the South African-Zimbabwean border. The bantustan of Venda was created to become a homeland for the Venda people. The Venda people, like their Tsonga neighbours, are one of South Africa's minority groups, they currently number 700 000 speakers in Limpopo Province, while the Tsonga at their doorsteps number 900,000 people, also in Limpopo province. The system of social segregation in South Africa known as was implemented and enforced by a large number of acts and other laws. This legislation served to institutionalise racial discrimination and the dominance by white people over people of other races. While the bulk of this legislation was enacted after the election of the National Party government in 1948, it was preceded by discriminatory legislation used under earlier British and Boer governments. Apartheid is distinguished from segregation in other countries by the systematic way in which it was formalised in law. Parliamentary elections were held in Venda on 15 and 16 August 1973. The Venda Independence People's Party won 13 of the 18 elected seats in the Legislative Assembly. Parliamentary elections were held in Venda on 5 and 6 July 1978. The Venda Independence People's Party won 31 of the 42 elected seats in the Legislative Assembly. Parliamentary elections were held in July 1984 in Venda, an independent bantustan in what is now Limpopo province of South Africa. The Venda National Party won 41 of the 45 elected seats in the Legislative Assembly. Dzanani is a town and also the name of a region in the former Venda, now part of Limpopo province in South Africa. Dzanani was named after MuDzanani, which is one of the main surnames in Venda; and also the then Paramount Chiefs of Songozwi. The language predominantly spoken is TshiVenda, which is one of the eleven official languages of South Africa. 1 2 Sally Frankental; Owen Sichone (1 January 2005). South Africa's Diverse Peoples: A Reference Sourcebook. ABC-CLIO. p. 187. ISBN 978-1-57607-674-3 . Retrieved 18 September 2013. 1 2 "Census > 1991 > Venda > Variable Description > ... > District code". Statistics South Africa – Nesstar WebView. Retrieved 18 August 2013. 1 2 3 Lahiff, p. 55. 1 2 Worldstatesman.com has a chronology of Venda's transition to nominal independence and reintegration into South Africa. ↑ "S. Africa Launches 'Independent Black State' of Venda," in The Washington Post, 13 September 1979. ↑ University of Venda website Archived 4 July 2007 at the Wayback Machine . Retrieved 28 June 2007.